For a video breakdown of this metric, click here. 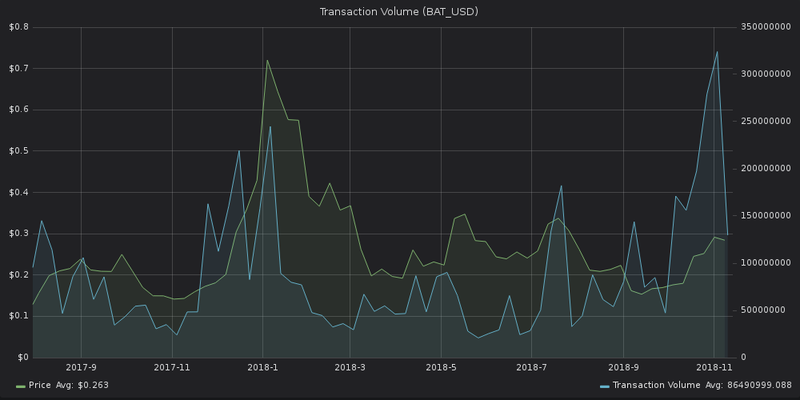 The DAA graph shows the number of unique network addresses involved in transactions on a certain date. Simply put, DAA indicates the daily level of crowd interaction (or speculation) with a certain token. This is a DAA graph for Zilliqa, an ERC-20 project that aims to make blockchains faster and more scalable. 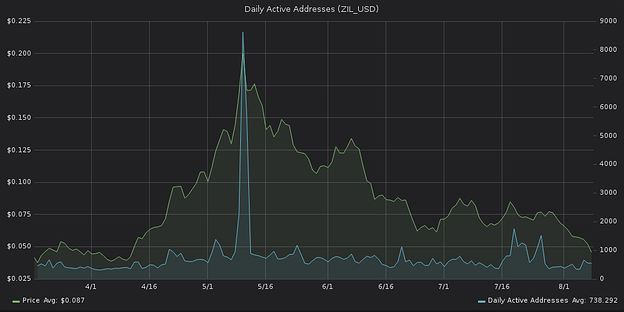 As you can see, there’s been a giant spike in daily active addresses at the beginning of May, coinciding with the price rally. But it only lasted a few days, followed by a rapid decline in price. A huge spike in DAA can indicate that the interest in a project - both speculative and otherwise - has peaked. 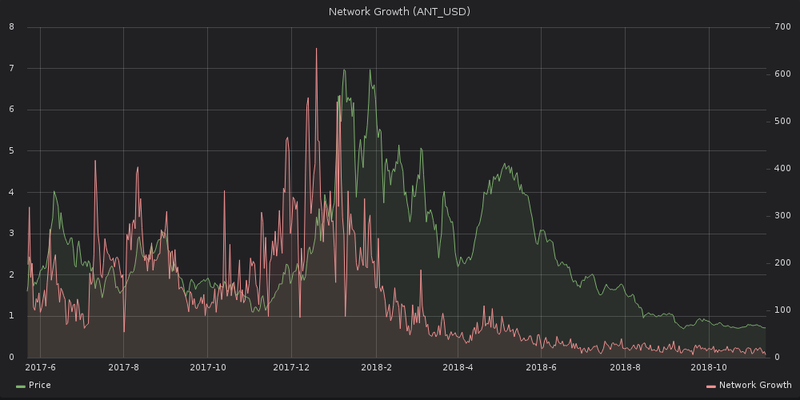 If the increased network activity proves unsustainable over the coming days, it could signal an impending downward trend. Essentially, this chart illustrates user adoption over time, and can be used to identify when the project is gaining - or losing - traction. Here’s a Network Growth graph for Aragon, which lets anyone create and manage a decentralized organization on Ethereum. Between February and December of 2017, the Aragon network grew by 85-750 new addresses each day, and the price loyally followed. 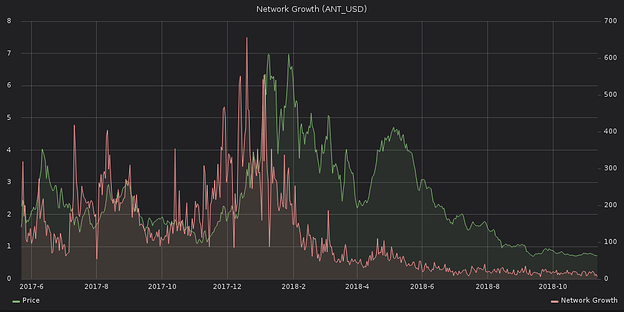 Then, right around the start of 2018, the network growth slowly began to throttle. It indicated that the Aragon user base was already quite deep, and wouldn’t be able to sustain future price growth. What happened since speaks for itself. For a video breakdown of these two metrics, click here. This graph shows the amount of tokens changing addresses on a certain date, multiplied by the number of blocks created on the blockchain since they last moved. Spikes on the graph signal a large amount of tokens moving after being idle for an extended period of time. 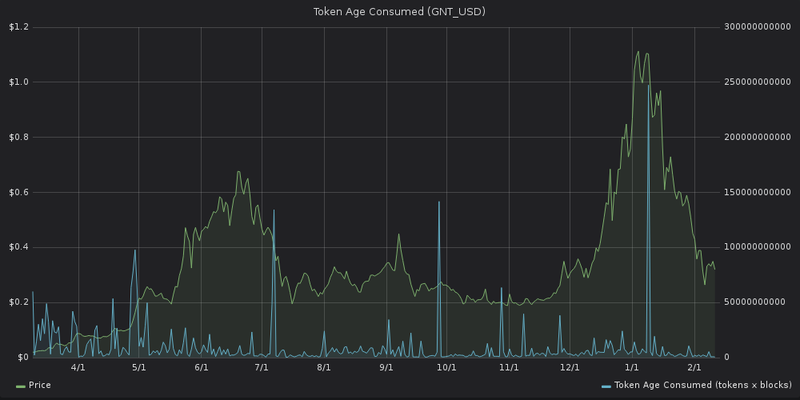 Here’s the Token Age Consumed graph for Golem, an ERC-20 project that lets you rent other people’s computing power. We can easily spot several significant spikes over time: each could be a large early investor selling their tokens, which commonly results in a parallel price decline. This graph shows the average number of days that the tokens were idle before being moved on a certain date. While Token Age Consumed measures the ‘idleness’ in blocks created, this graph does it in days passed since the last time said token moved. 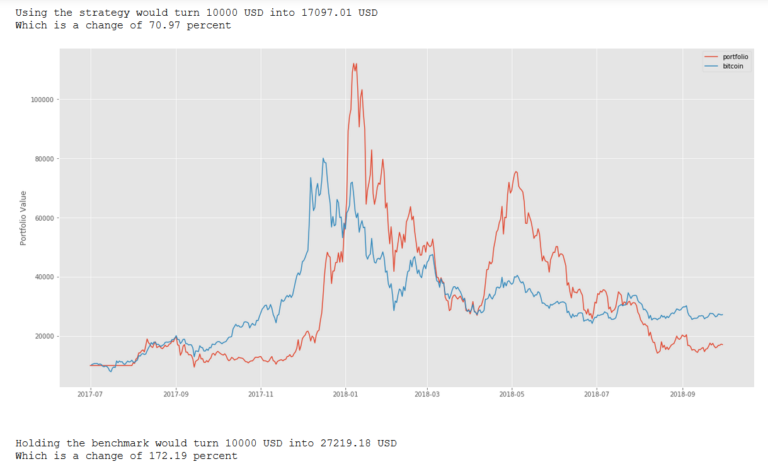 If the value is positive on said date, more of a particular token entered the exchanges than left, and vice versa. 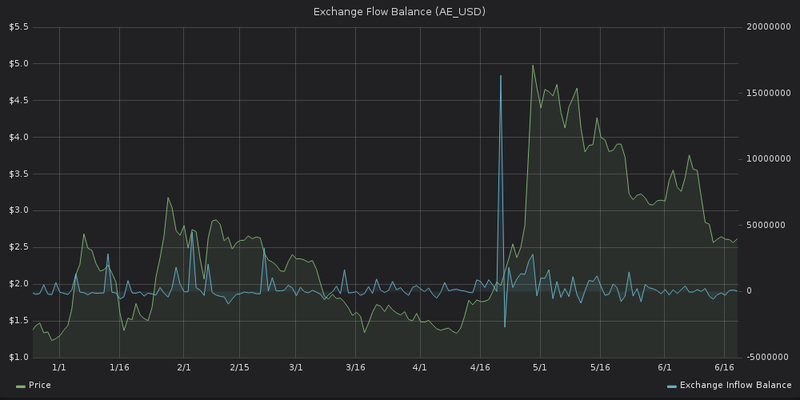 It’s not uncommon for large inflows of tokens to the exchange to precede rapid price growth. The Exchange Flow graph shows the amount of inflow and outflow plotted separately. Red spikes show tokens exiting exchange wallets; blue spikes show them moving in. For a video breakdown of Transaction Volume and Token Velocity, click here. While not as strong of a price indicator as some other metrics in our suite, Transaction Volume can still be used for thorough mid-term analysis, or in tandem with other indicators. As you can see, the correlation between price and trx volume can both be evident and strenuous at different times. That said, the metric remains a strong complementary signal in any serious trading analysis. Simply put, a higher token velocity means that a token is used in transactions more often within a set time frame. Notice the steep drop off? The increased activity (and subsequent dip) correlates squarely to a huge ETH mixer that operated between March 2017 and March 2018. Once the mixer was liquidated, token velocity toppled back to ‘normal’ levels, where it’s remained ever since. Token Circulation shows the spread of idle tokens over time. In other words, this graph indicates how many tokens are being hodled, and for how long, on a particular date. The green line shows the token price. Notice how all tokens, naturally, start off in dark red (<1d), and eventually move to other ‘time buckets’. How can you use Token Circulation? 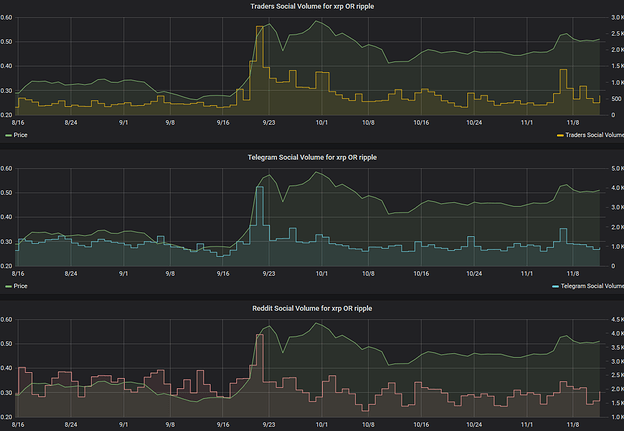 Token circulation can be used to track large amounts of tokens moving after being idle for some time. One potential use case can be identifying when big market players exit the project post ICO. We can spot a curious event on July 17th, 2018, which correlated with a huge price dip from which Golem never really recovered. On that day, there was a spike in the dark red (<1d) time bucket, meaning that certain tokens have gone from ‘idle’ to ‘active’. There was a corresponding dip in the top, pale yellow (18m-24m) bucket, indicating those are the tokens that moved. As we can see, ~120 million GNT that were idle between 18 and 24 months (many since the project launch) have moved on June 17th (and have therefore now entered the <1d bucket). This might indicate a large early investor selling their tokens, which commonly results in a parallel price decline. We call these temporary wallets deposits or deposit addresses. Daily active deposits (DAD) shows the number of unique deposit addresses that have been active on a particular day. We can see a massive spike in daily active deposits on January 15th as the price of REP begin to rally, followed by a notable plunge several days later. Wings - 4 notable spikes in daily active deposits in the last 6 months, followed by a price dip. Maker - 3 notable spikes in daily active deposits in the last 6 months, followed by a price dip. This graph calculates the share of daily active deposits (DAD) in the total number of daily active addresses (DAA). The idea behind this metric is to serve as a quick-glance indicator of the speculative interest in a particular coin. The bigger the % of daily active deposits in daily active addresses, the more people are using the coin for trading rather than whatever its proposed utility - and vice versa. Compared to daily active deposits, Share of Daily Active Deposits is designed as more of a long-term indicator. 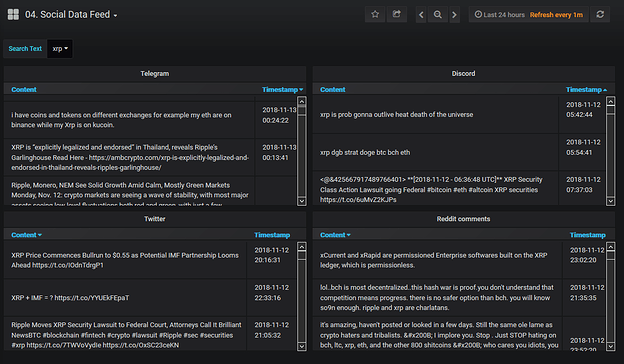 So far, we found it to be much more useful for a wall-to-wall retrospective or comparative analysis. Save for a few notable spikes, 0x has exhibited a relatively stable share of Daily Active Deposits in DAA for the last 18 months. On average, the network’s SDD stands at 15.5% for the observed time frame. Bancor’s SDD, on the other hand, is a fair bit more volatile, ranging from an average of 20% at the end of 2017 to just ~5% for the last 30 days. 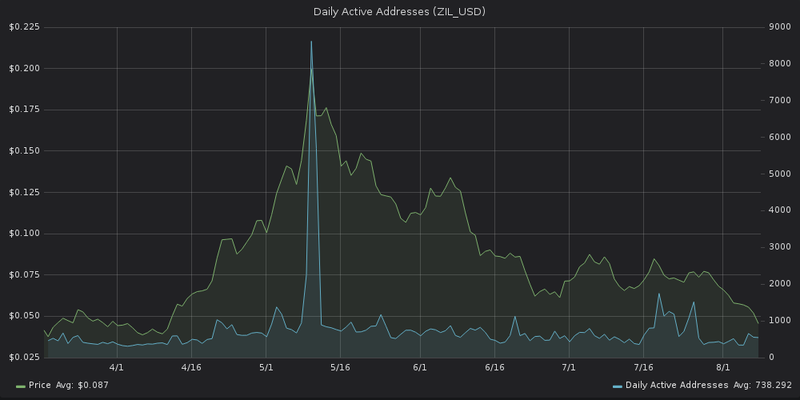 This tells us that the coin’s being traded less than it used to be, at least relative to the number of total daily active addresses on the network. 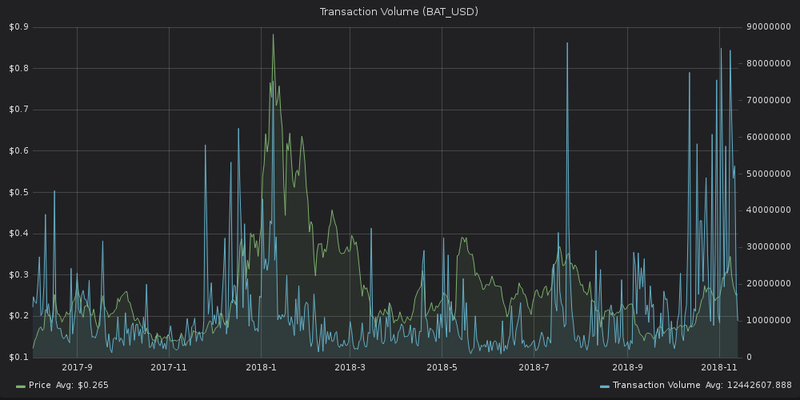 This decline in relative speculative interest indicates a growing maturity of the network: nowadays, Bancor seems to be used more often for its primary (utility) purpose. 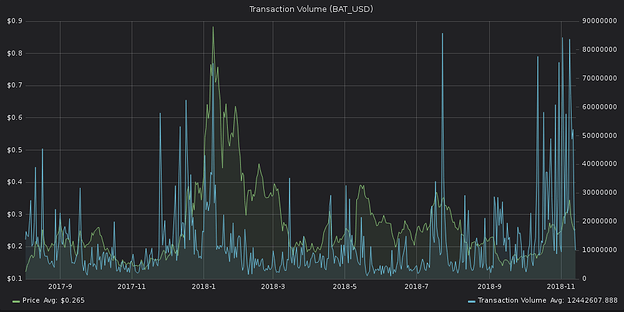 Deposit-related Transactions shows the total number of all incoming and outcoming transactions involving deposit addresses on a particular day. This metric can also be used as a long-term indicator of the level of speculative interest in a network. 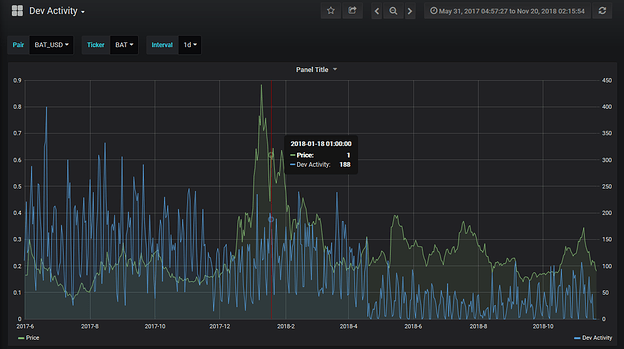 For example, the graph for Maker (MKR) clearly shows a steady increase in the total number of deposit-related transactions over time, and especially in the past few weeks. In other words, the speculative interest in Maker seems to be blooming. Deposit-related transactions can also be valuable when used in conjunction with Exchange Inflow. 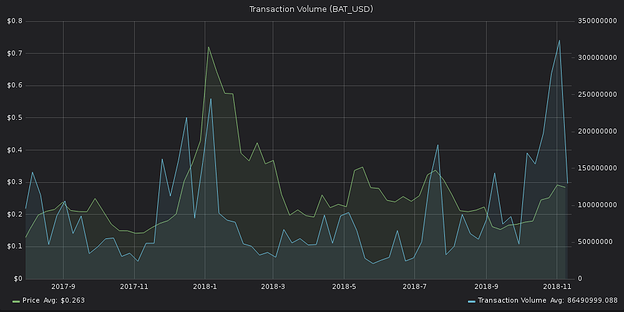 For example, an increase in exchange inflow but a plateauing number of deposit-related transactions means that more coins are entering the exchanges, even though the number of transactions to exchanges remains the same. In other words, the average deposit size has increased. This metric shows the share of deposit-related transactions in the total number of transactions on a network. SDT is particularly useful when combined with Daily Active Deposits and their share in total daily active addresses (SDD). For example, it could be the case that a relatively small number of deposit addresses generates a disproportionately large amount of transactions on the network. Or vice versa – a large number of deposit addresses generate a relatively small amount of network transactions, indicating that a token is used predominantly for its utility. We see another peculiar case with OmiseGo, where the number of daily active deposits over the last 6 months remained stable, but the share of deposit-related transactions significantly increased. You can adjust the time frame in the upper right corner, or simply by selecting a relevant portion of a(ny) graph, by dragging your mouse cursor from the preferred start date to the preferred end date. 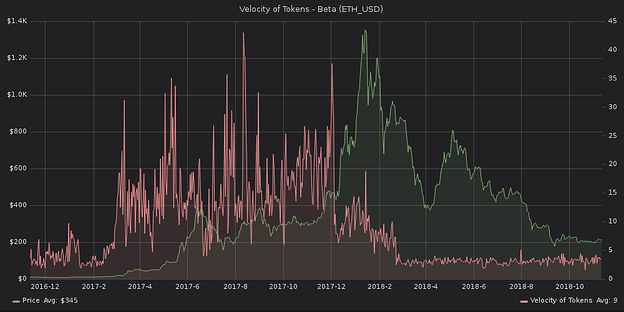 The realized value graph shows the acquisition cost of a crypto asset over time, or the total amount all market participants spent to buy said asset. This graph is also known as realized cap, and has recently been proposed as an alternative to traditional market cap. It helps eliminate some of the lost, unused or unclaimed coins from total value calculations. Realized cap is most insightful when compared to the total market cap, which is shown in the MVRV ratio below. Out Realized Cap for Bitcoin can be found here. Our Realized Cap for Ethereum and ERC-20 projects can be found here (you can select a specific ERC-20 project from the ‘Project’ dropdown menu). MVRV (Market Value - Realized Value) ratio shows the relation between an asset’s total market cap and realized cap (see above). It is calculated by dividing the market cap by realized cap on a daily basis. In doing so, we can get an estimate of how overvalued or undervalued an asset currently is. For example, if the current BTC market cap is $8b and the realized cap is $4b, the MVRV ratio = 2. That means that, on average, each participant would make 2x profits if he liquidated his Bitcoin position at that moment. The more this ratio increases, the more people will be willing to sell their assets and take profits, so the sell pressure increases. If MVRV is below 1, on the other hand, (i.e. if realized cap > market cap), then the market is “undervalued” on average, and most people will be realizing losses if they sold their BTC holdings. According to some, extreme values on both ends of the MVRV spectrum can present an opportune time to accumulate a crypto asset. Out MVRV ratio for Bitcoin can be found here. Our MVRV ratio for Ethereum and ERC-20 projects can be found here (you can select a specific ERC-20 project from the ‘Project’ dropdown menu). The Network Value-to-Transaction ratio is an asset valuation metric similar to the P/E ratio traditionally used in equity markets to gauge a stock’s growth potential. The P/E or Price-to-Earnings ratio is calculated by dividing the company’s current price per share with its earnings per share. A high P/E could mean a stock’s price is high relative to its earnings and therefore possibly overvalued. Conversely, a low P/E might indicate that the current stock price is low relative to earnings and possibly undervalued. As crypto assets are not companies we don’t know their earnings, so Transaction Volume is often used as a proxy for the blockchain’s underlying value. Since Daily Trx Volume gets rather noisy and often includes duplicate transactions, it’s not an ideal measure of a network’s economic activity. That’s why at Santiment we calculate NVT using Daily Trx Volume, but also by using Daily Token Circulation instead, which filters out excess transactions and provides a cleaner overview of a blockchain’s daily transaction throughput. You’ll find both approaches plotted on the graph and can choose which one you prefer. As with P/E, a high NVT indicates that an asset’s network valuation is higher than the value being transmitted on the network. In other words, the network is expensive relative to how much value it moves, signaling a potentially overvalued asset. Conversely, a low NVT denotes an asset that is cheaper per unit of on-chain transaction volume, signaling a potentially undervalued asset. NVT is often used as a long-term indicator of an asset’s price trends, rather than a day-to-day valuation metric. Out NVT ratio for Bitcoin can be found here. Our NVT ratio for Ethereum and ERC-20 projects can be found here (you can select a specific ERC-20 project from the ‘Project’ dropdown menu). Simply put, Dev Activity can be used to gauge a project’s commitment to creating a working product, and continuously polishing and upgrading its features. We measure dev activity differently than most. Most data aggregators track the number of Github commits, an unfortunate solution that returns skewed data. At Santiment, we implemented a more reliable approach – tracking the number of Github events that the project generates. Our custom method dramatically improves both accuracy and serviceability of Github data. If you want to learn more about the difference - and the benefits of our bespoke approach - I highly suggest this piece by Valentin, our CTO. While not common, Dev Activity can also be used as a novel trading strategy. A few months back, we tested a portfolio of only the top ERC20 projects by dev activity, refreshed each month. We backtested the strategy from August 2017 to October 2018. The portfolio turned a profit, but didn’t beat hodling BTC overall. However, our portfolio was also more volatile than hodling over time, registering significantly larger tops in January and May of 2018. If you were to sell at one of those intersections instead, our Github portfolio would in fact be the winner. As a custom metric, dev activity can help you understand a project’s dedication to its product, and in turn - its end users. The results can be plotted over the price of BTC, ETH, or any other coin in our database. For example, back in September, Ripple (XRP) announced several strategic partnerships which got people re-excited about the project. We can clearly spot a large spike in social chatter surrounding Ripple in late September, which coincides thoroughly with XRP’s price rally. Per the above graph, almost 70% of social chatter on October 15th revolved around Bitcoin (the massive orange area at the bottom of the graph). Bitcoin’s ‘social share’ plunged to just 30%, with another project - Stellar (the blue area near the top) - quickly stealing the spotlight. That’s how Relative Social Dominance can help you spot the community’s hottest ‘talking points’ - and where the conversation is headed next. Needless to say, the potential use cases here are limitless.